If you are experiencing one or more of these conditions, it’s time to pay mind to your gut. It’s been said that all disease begins in the gut, and the above issues are all linked to problems that originate within the digestive tract. Your microbiome controls every aspect of your physiology, so healing the gut = healing the body. A healthy gut means better digestion, clear skin, healthy weight maintenance, improved hormone balance, and more energy. 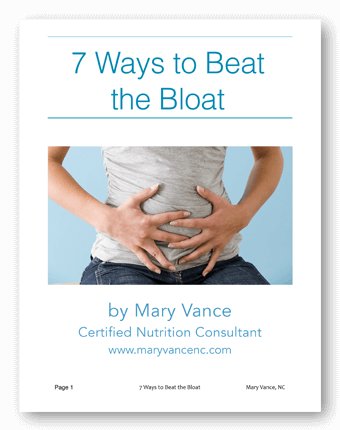 We typically think of gas, bloating, reflux, diarrhea or constipation as the obvious digestive imbalances, but leaky gut syndrome can lead to systemic issues that end up manifesting as skin problems, hormonal imbalance, weight gain, and even autoimmune disease. Leaky gut is a condition in which undigested food proteins leak through an inflamed and overly permeable intestinal barrier, triggering an antigen attack and contributing to food sensitivities. Leaky gut also triggers your body’s fight or flight response, contributing to adrenal fatigue and hormone imbalance. Leaky gut is caused by an inflammatory diet, antibiotic use, stress and high cortisol levels, and dysbiotic bacteria or parasites. Because the majority of the immune system is in the digestive tract, the inflammation leaky gut causes can trigger an overactive immune response that sets the stage for autoimmune conditions. Leaky gut also affects your ability to absorb nutrients from your food, leading to deficiencies and cravings. I always focus on digestive wellness and gut health with my clients. If you are struggling with any of the symptoms or conditions I mentioned, start with your gut. 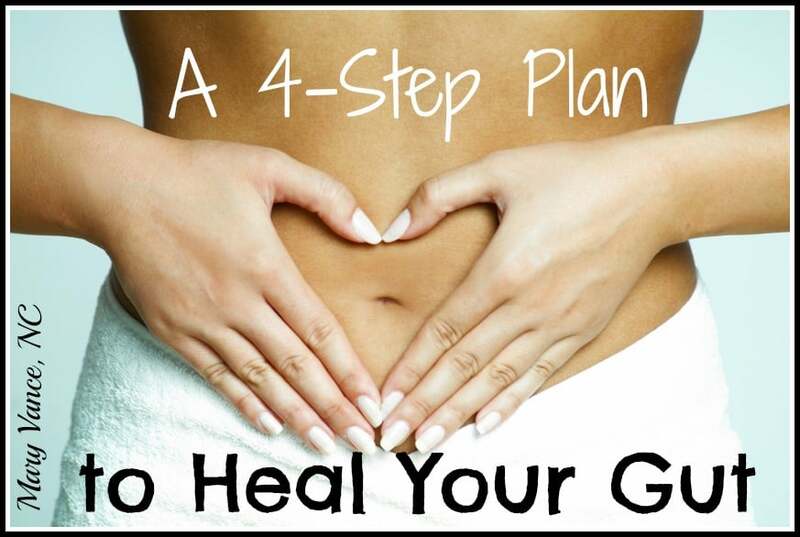 You can start this easy 4-step gut healing protocol right away and see immediate benefits. You can also use this plan to recover from antibiotic use or coming off birth control. Your health will begin to improve when you focus on rebuilding and healing your digestive tract. It’s not only what you eat, but what you absorb, that matters! 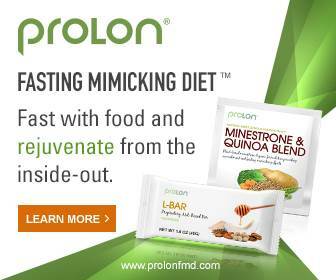 Step one is to remove the inflammatory foods that wear down your gut lining, creating irritation and inflammation. Inflammation is the root cause of disease, and it often starts in the gut vis-a-vis what you eat. Start by ditching irritants like coffee, alcohol, and sugar. Also get rid of gluten, dairy, corn, soy, and eggs. If you’re feeling brave, remove all grains, which contain phytic acid and lectins that can irritate the gut lining. This is an elimination diet: you’ll remove these foods for at least 30 days, then reintroduce them to see if they cause a reaction. That way you’ll know which foods to avoid for longer periods. Continuing to eat foods that produce an inflammatory response worsens leaky gut. 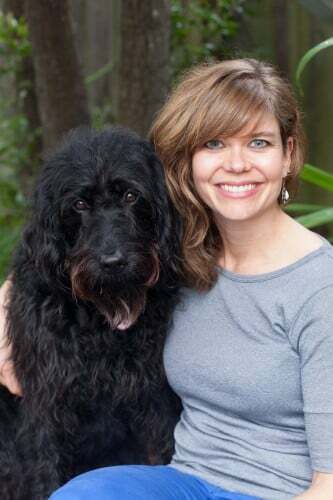 At this stage I often recommend stool testing to check for pathogens, parasites, yeast/fungus, and dysbiotic bacteria that creates further intestinal damage and inflammation. If you test positive for any of the aforementioned, you can start with a protocol to get rid of candida, parasites, h pylori, or whatever shows up. Often I’ll have someone do a simple dysbiosis protocol at this stage, using a full spectrum parasite and yeast killer along with oil of oregano and a probiotic if I suspect an overgrowth of bad bacteria. Do this protocol if you choose for 4 weeks along with step two, then move to steps 3 and 4. Otherwise, you can do steps 1, 2, 3, and 4 simultaneously. Step two is to replace the essentials for proper digestion and absorption of nutrients. If you have leaky gut or compromised digestive function, you aren’t breaking down food properly. You’ll know this is you if you experience frequent gas, belching, bloating, heartburn, or see undigested food in your stool. It also means you’re not absorbing the nutrients your body needs for repair and healing. 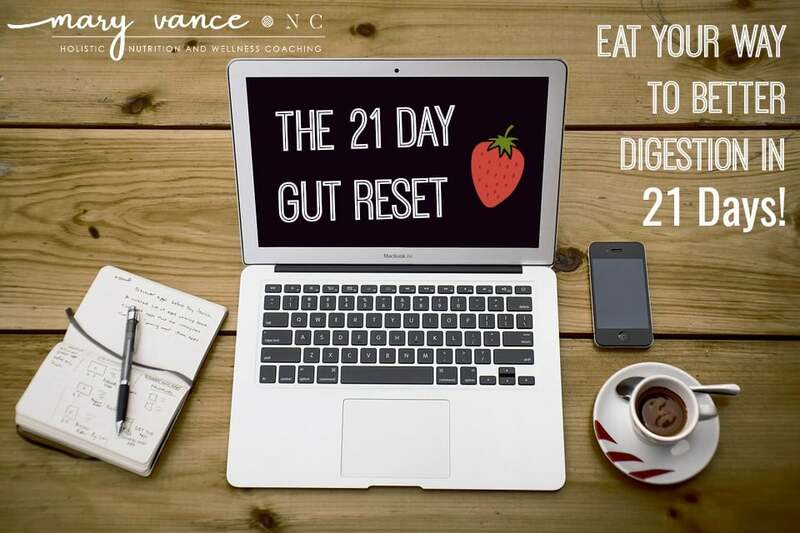 Start with a digestive enzyme to help you digest. You may also need hydrochloric acid tabs if you’re not producing enough HCl to break down food in the stomach. I also recommend using raw kraut or cultured vegetables that are a natural source of enzymes needed for digestion and probiotics to boost good bacteria in the gut. Get fermented foods every day (I sometimes eat up to a half cup per day of raw kraut). Stay on the enzymes throughout the program. Step 3 is to repair the gut lining. You’ll need a glutamine-based leaky gut repair product (I like this one) that provides the essential nutrients and amino acids your body uses for intestinal repair. I also recommend curcumin and fish oil to reduce inflammation. Make sure and drink plenty of bone broth, a mug-full with sea salt at least 5 times a week, to provide you with the collagen and gelatin needed for healthy gut and skin. You can also use collagen peptides in smoothies. Do this phase for 2 months. Step 4 is to reinoculate and rebuild the probiotic levels in the gut. This is especially important if you have an overgrowth of bad bacteria. I recommend rotating through several different brands of probiotics so you get many different strains for a good bacterial diversity. You’ll need to stay on probiotics for 3-4 months. Include raw kraut and coconut water kefir. If you can handle it, increase fiber to feed your probiotic bacteria. Think starchy root veggies like sweet potato, fiber rich berries, banana, artichoke, garlic/onion, asparagus, and avocado. You’re probably thinking, how long is this going to take? I say that because literally every single person whom I coach asks, and it’s the million dollar question. The answer is, I don’t know. Everyone is different. Three months minimum, more likely around 6 months. If you do the dysbiosis protocol, stay on that for a month, then do the leaky gut repair for 2 months along with probiotics, and stay on the probiotics for around 4 months. You can start reintroducing foods from your elimination diet after about 30 days, but stay off the foods to which you react for at least 3 months before you try reintroducing them again. The beauty of healing leaky gut is that you can better tolerate foods over time. The rest depends on you! How long should dairy be avoided during candida / elimination diet phase? When can bread like food for life gluten free bread be introduced during diet & does yeast in food really cause an issue? Why does vinegar if acv is ok, and should red wine & balsalmic be avoided? Anything with 1 g sugar, like condiments, tapioca etc?